Have you ever been in the position when, your stinky shoes place you in the most embarrassing situation? Do not worry, as you are not alone.. 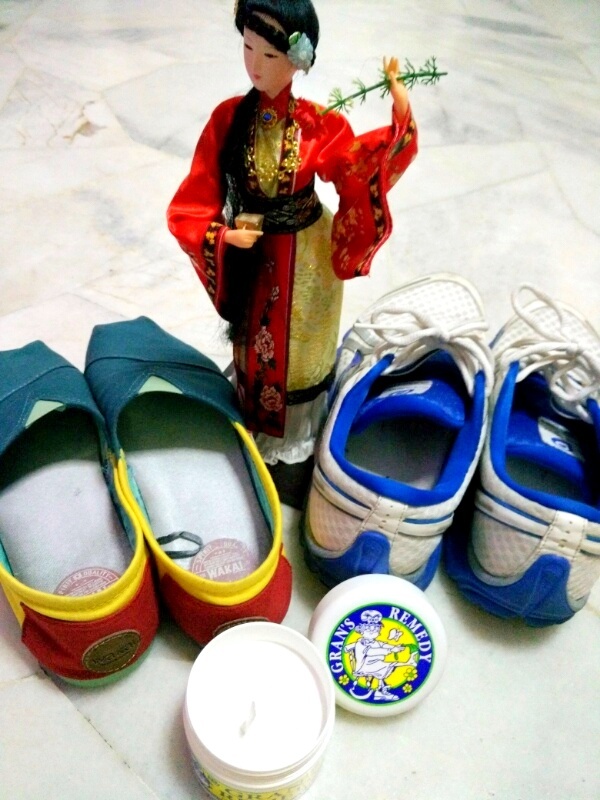 In fact, there are many people around the world who suffer from the problem of having smelly shoes and feet. The problem is however not that serious, and with a good and effective remedy, you can certainly get rid of the stench that is responsible for your embarrassment. The remedy I am talking about Gran's Remedy....For your info, Gran's Remedy is manufactured from New Zealand and exported to worldwide. Back in New Zealand, Gran's Remedy has been the market leader in its category for many years. Using the traditional remedy handed down through the generations, Gran's Remedy today is the leader in development of smelly feet and footwear products. 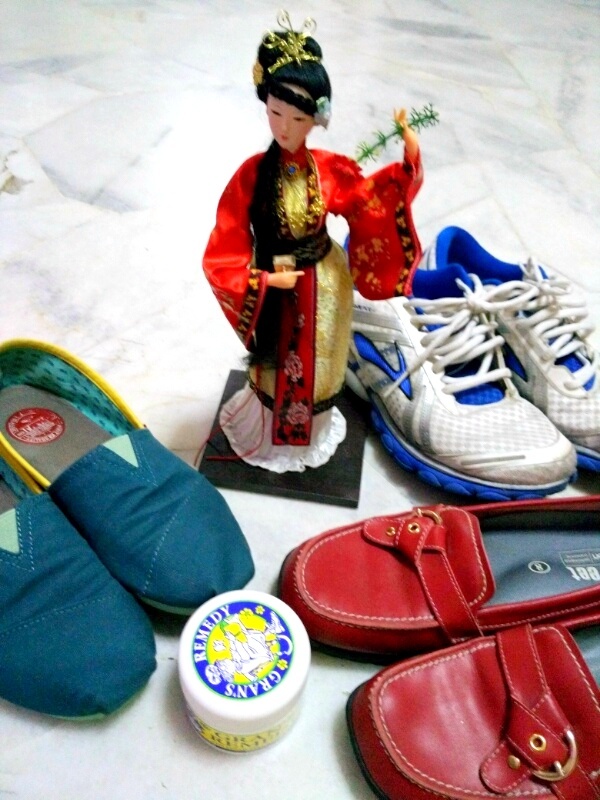 I got the opportunity to try Gran's Remedy and after a few days, some of the stinky shoes I have lying around which I have never got around throwing (maybe because they were a little expensive and my favorites) which I used this on surprised me. The stink started to decreasing and I was able to wear my favorite shoes again as they smelled fresh... for once.... amazing!!! So what causes sweaty and smelly feet? The function of sweat glands is to keep the skin moist and therefore supple, and to regulate temperature when the weather is hot or while you are exercising. There are more sweat glands in our feet than anywhere else in the body. However, unlike sweat glands elsewhere in the body, the sweat glands in the feet secrete all the time, not just in response to heat or exercise. Wearing the same shoes every day. Feet become smelly if sweat soaks into the shoes and you wear them again before they are dry. Hormonal changes can cause feet to sweat more, so teenagers and pregnant women are especially prone. A condition called hyperhidrosis, which causes you to sweat more than usual. All you have to do is open that pottle (yeap, it is called a pottle) and take the little spoon enclosed, and scoop up a little spoonful. 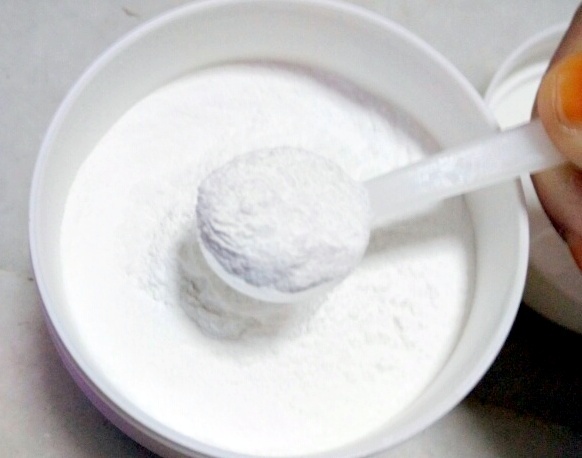 Then just sprinkle that spoonful of the powder every day and night continuously for seven consecutive days or until the powder is used up. You will find your treated footwear now odour-free for up to six months. 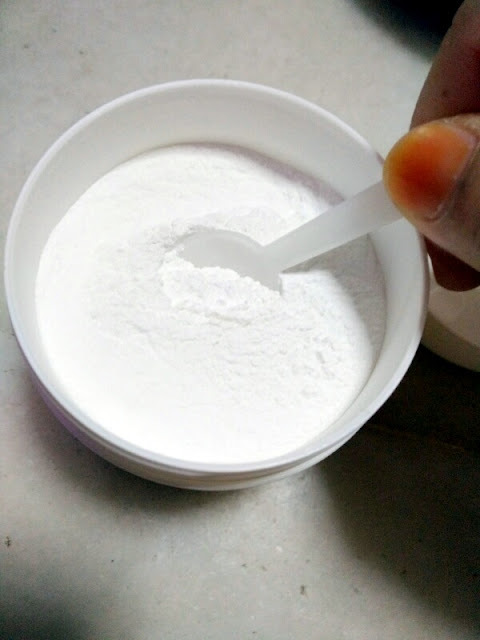 If you find or think that your feet sweat a lot, you can apply the powder directly on your feet as long your feet does not have any open wounds. This amazing remedy contains Potassium Aluminium Sulphate,, Zinc Oxide, Zinc Undecylenate, Talc, Manuka Oil and Kawakawa Oil ..
Gran's Remedy has been clinically proven to eliminate the smell from footwear and feet. One container is sufficient for one seven-day treatment, which should give up to six months protection. And they are so good, they have a Money Back Guarantee if you are not completely satisfied with the results!!!! Gran's Remedy is manufactured in New Zealand and exported worldwide to countries such as the Australia; Japan; Korea; UK; USA; and parts of Asia & Europe. And we are lucky it is now in Malaysia!!!! From its humble beginnings in 1982, Gran's has distributed over 1.5 million units of it’s famous Powder variants throughout the world. Try it... you will find it amazing, like I did!!! Thats great for hygiene! :D i think i need a bottle of this too! Olalaa... something useful for me. owh! they asked me for review but too busy to commit la these days. Thats look like a good one. It looks good. Just wonder how will it be if Im wearing socks. Will it stick or just absorbed to the shoes? Yea our problem is the country's humidity that causes it to stink, even with socks also our shoes will still stink. 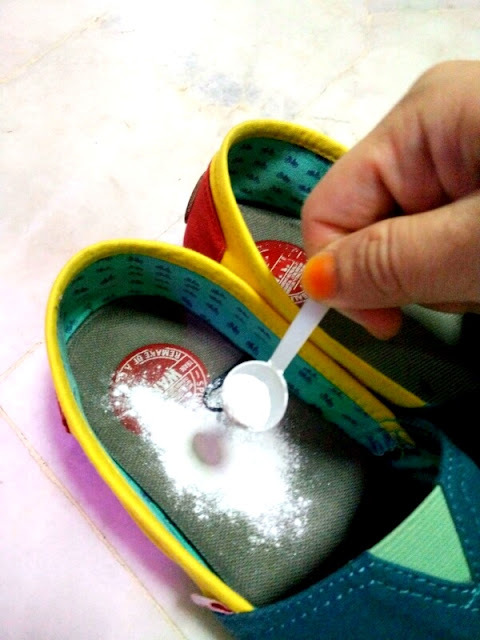 But does the powder absorb into the shoe of it will leave our feet with powder residues? Ada hadiah nak bagi kat kawan dah. Nak tegur takut dia terasa so bagi hadiah is better kan.
Now I know what to get to cure my smelly shoes. No need to throw them away anymore. Great review :) Anyway, do we need to dust out the powder everytime before we add some more for the 1 week program? I tried those powder from Scroll *not sure how to spell* it doesn't really work for me. Are you tired of the smell of the shoes after you do the activities? Read on, you will get some useful methods or tips for dealing with the shoe odor and refresh your shoes.I find this website for Slip Resistant Work Shoes for Women you can visit this site.